You don’t call, you don’t write… yes, ladies and gentlemen, its that time of year. This Sunday is Mother’s Day — Don’t Forget! 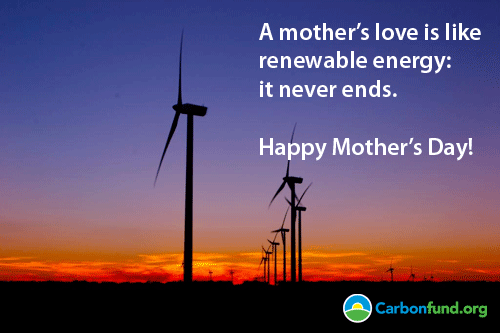 In fact, while you’re thinking about it, why not send Mom an e-card that keeps Mother Earth in mind, courtesy of Carbonfund.org. Save the paper from sending a real card, give Mom a grin… what’ve you got to lose?